It’s been a little over one year since I’ve moved to the UAE and I am embarrassed to say that I haven’t done as much sightseeing as I would have liked too and I have no idea why (okay maybe I do). 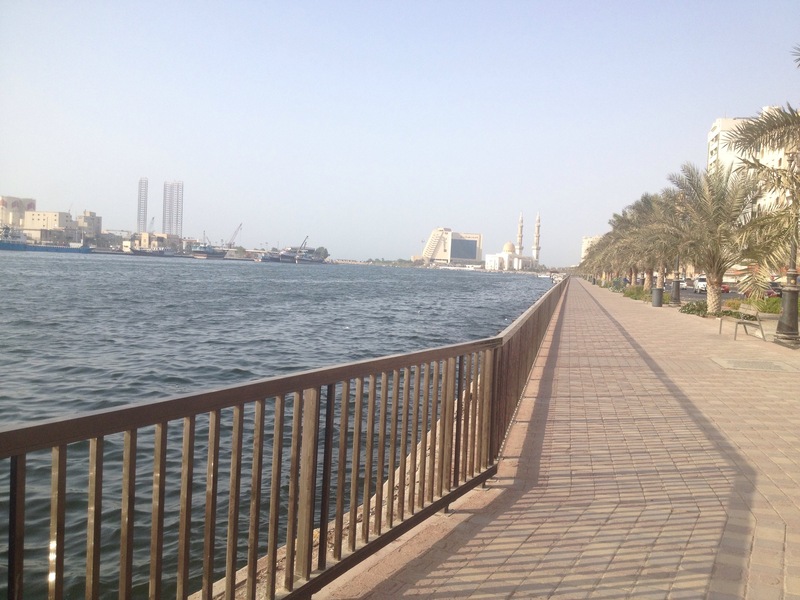 It has been really difficult for me to settle in and take on the busy streets of the UAE. If you’ve read my previous posts you would know that the streets are jungles. My fear of driving basically took my independence and I have no one but myself to blame because fear shouldn’t stop you from doing anything. My husband and I also share a car so that pretty much means that I have to plan around his schedule which isn’t always easy and over the past year I just couldn’t be bothered really. So, I just stayed at home and waited until he had off days for us to do something fun together. Thankfully I have finally decided to retire from being a couch potatoe (I prefer to spell it with an “e”) and get out of my comfort zone and explore more. I have challenged myself to see something new every week and write about it. So, now that forces me to produce something for all of you every week! Today was the first of my weekly explorations and I am so happy that I finally did it! 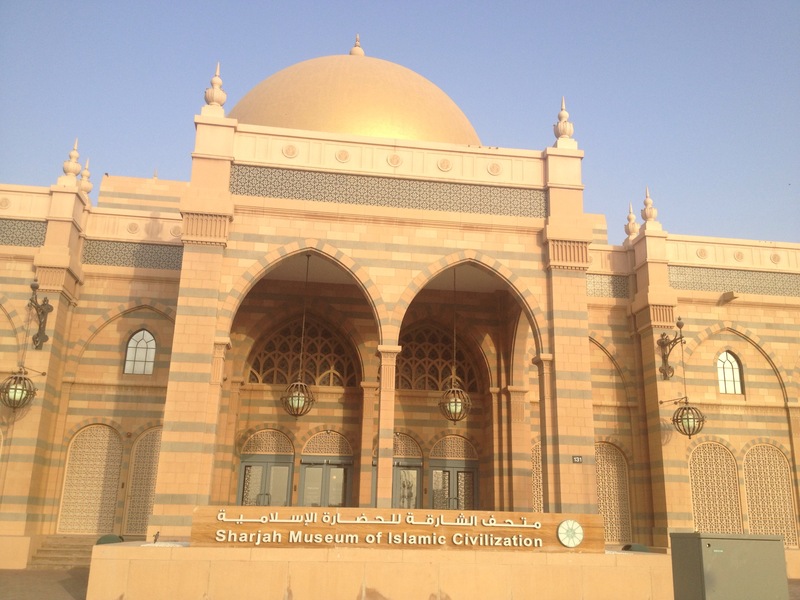 Today I visited the Sharjah Museum of Islamic Civilization and it was breathtaking. 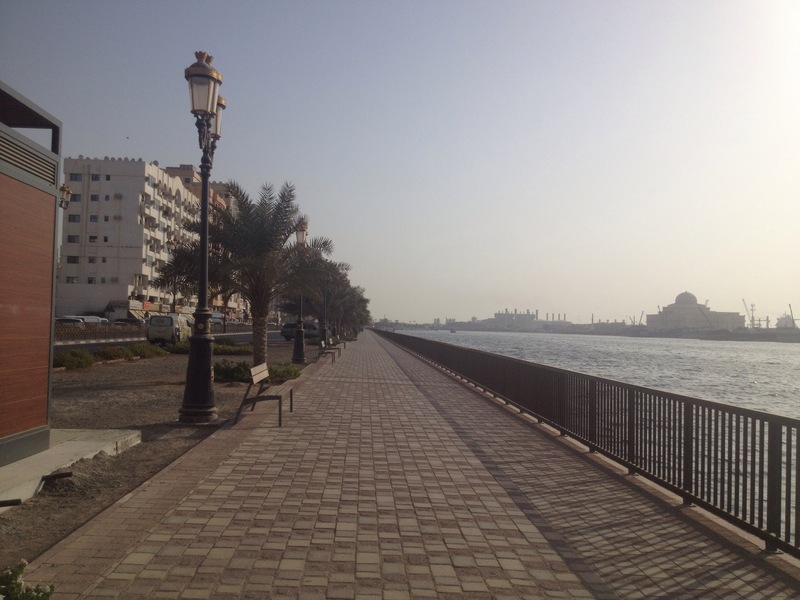 It is a beautiful gold domed building over looking a stunning creek in the centre of Sharjah. It was transformed from a traditional covered market to a museum in 2008. I would have loved to experience the atmosphere of a bustling market but that’s me going off track. 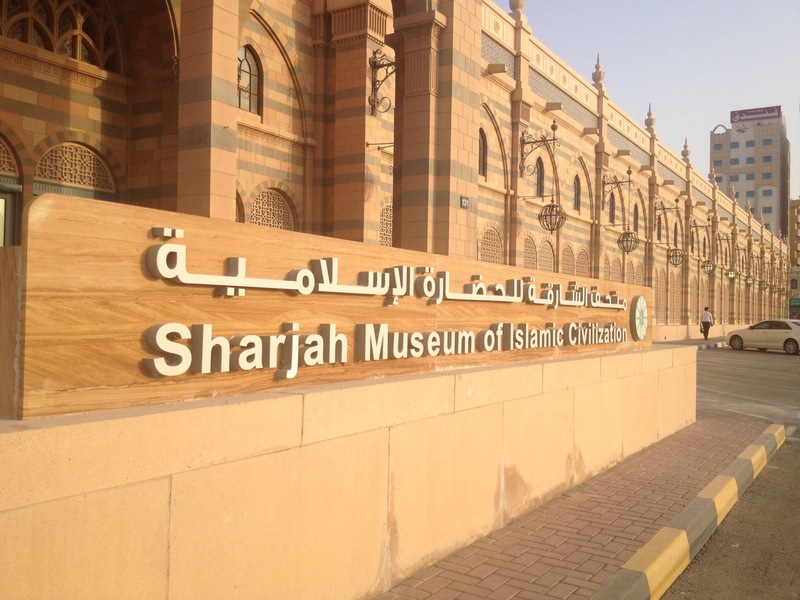 This majestic museum covers the Islamic faith, culture, history, art and science. I was in awe at every corner. I was blown away at how much I actually did not know about my own faith. 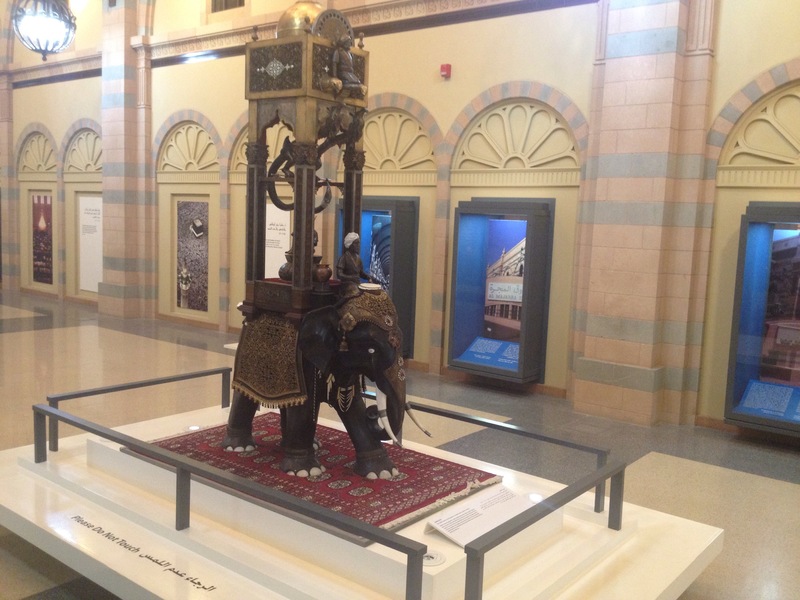 The museum is also designed is a very user friendly way with seven spacious galleries showcasing over 5000 exquisite artefacts and manuscripts from all over the Islamic world. I had no idea how I was going to make my way around everything but I absolutely loved how easy it was to navigate my way through this museum. The staff were also really friendly and helpful and made this trip a memorable experience. 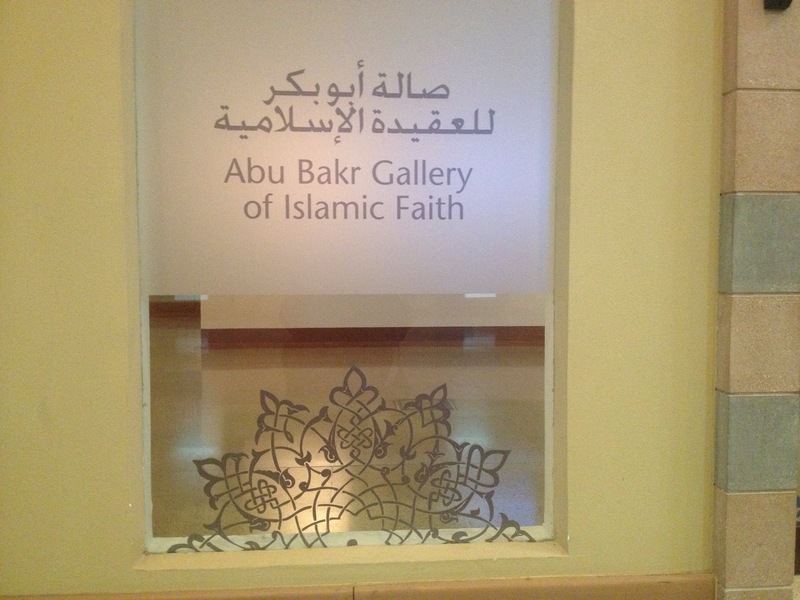 My favourite gallery of all was the Abu Bakr Gallery of Islamic Faith. 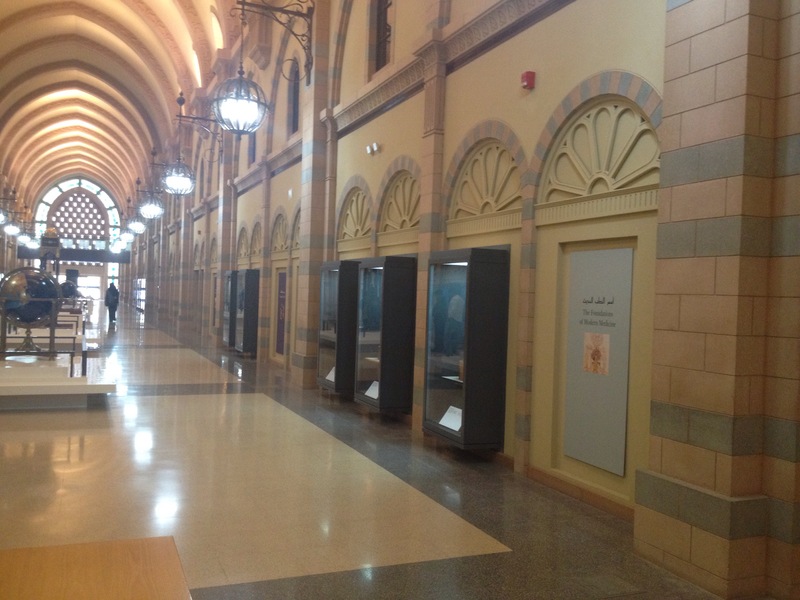 I entered to the melodious sound of the Athan (call to prayer) playing as I made my way around. The story starts from the start of Islam to where it stands today. 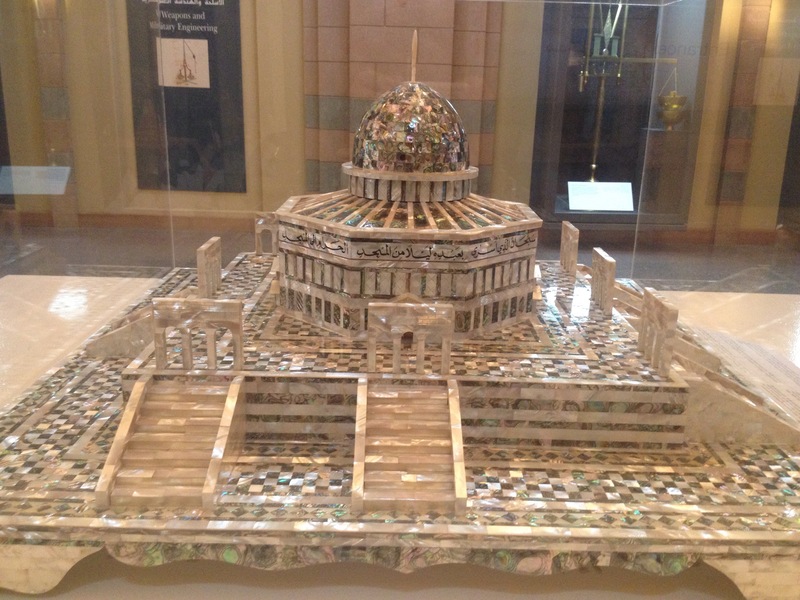 The foundation of the faith was displayed beautifully on the walls upon where the five pillars of the faith was explained. 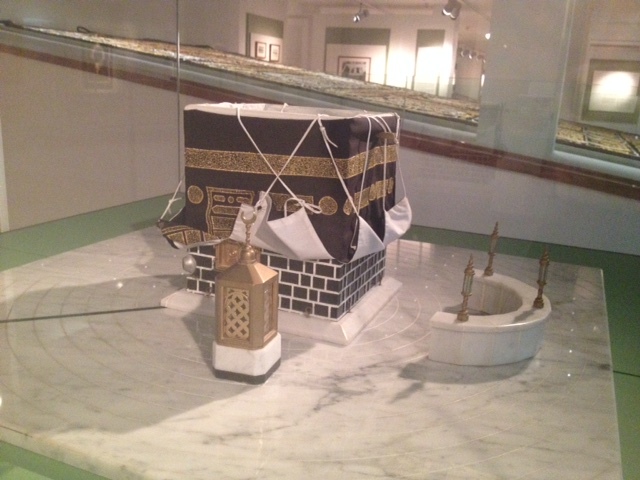 The most eye catching display in this WHOLE gallery was the Kisbah (heavy cloth). 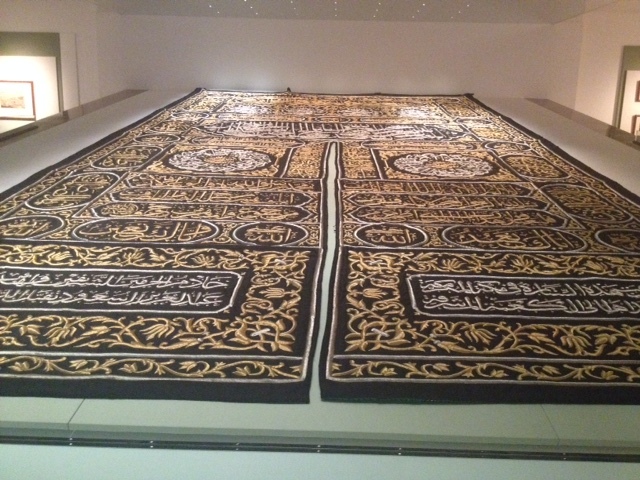 The Kisbah is the heavy cloth made of black silk lined with cotton and embroidered with gold and silver thread that covers the Kabah. 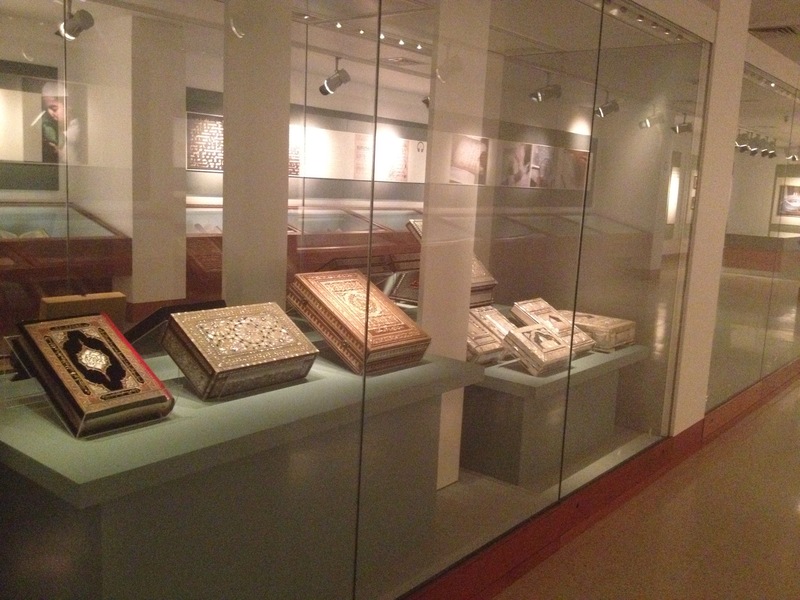 Another beautiful highlight was the display of ancient Qurans. 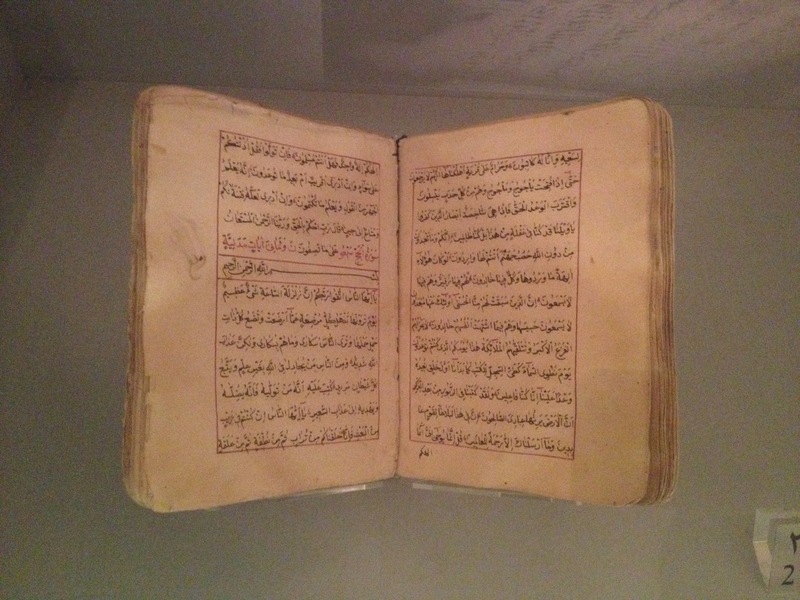 Most of these Qurans are more than 1000 years old. Something I didn’t know where that these Qurans were written in three different distinct styles. Namely, Kufic, Naskh and Thuluth. 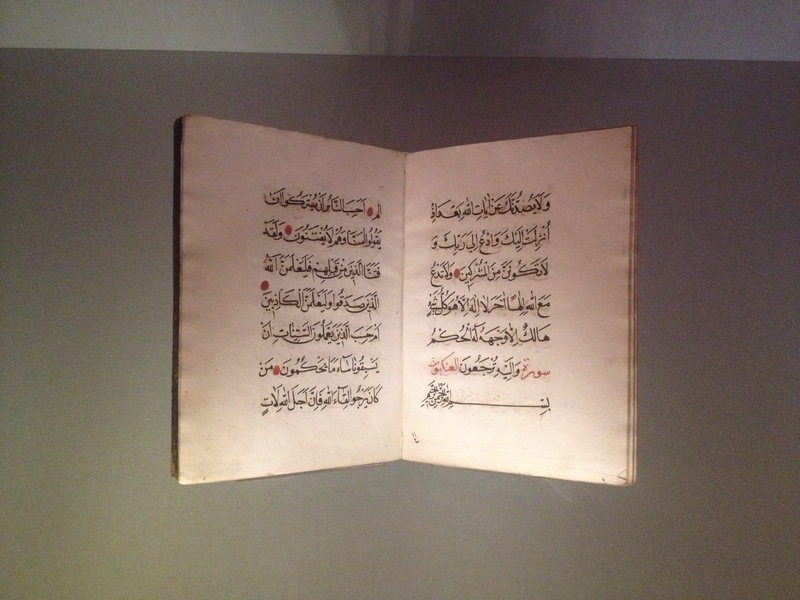 Calligraphers developed the decoration of quranic manuscript in ways that highlight the beauty of the words without distracting from their meaning. It was really a heart felt experience and I am so happy that I had the opportunity to take a walk through the development of Islam, one of the fastest growing religions in the world. It was also a reminder of the hardships and tribulations and achievements people went through to help establish and build what we have today. 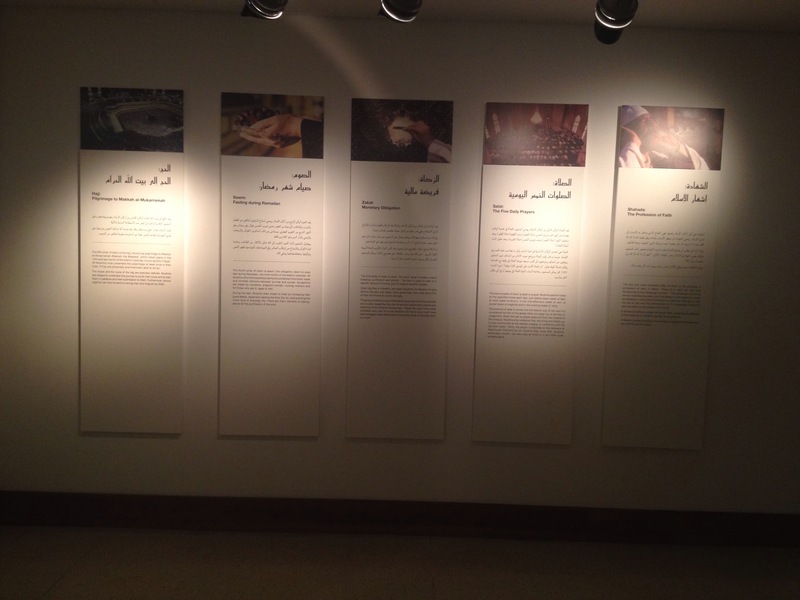 I would encourage everyone to visit this museum, Muslims and non Muslims. It will definitely give you a better understanding of Islam and how much of an influence the Islamic world has had on the development of so many institutes in the world today and you will feel the “peace” this beautiful religion percolates. I hope you all enjoyed my little story and the pictures I managed to take. These images definitely don’t do justice to the tranquility and peace this place brings. I will definitely be bringing all my family and friends who visit me to this attraction. So until my next little adventure, keep well and keep exploring.